With as many as 120 patients per day at its ED, emergency physicians at New York-Presbyterian/Weill Cornell Medical Center keep pretty busy. That frantic pace makes it hard to complete tedious, yet critical processes like performing a thorough medication reconciliation for patients being triaged in the emergency department. And even though pharmacists were available to help, their ability to reach many patients was limited given the time-consuming nature of the process. But performing the task can reduce the likelihood a patient will experience an adverse drug event, one of the most common safety errors in hospitals. Nearly 5% of hospitalized patients will experience an adverse drug event and they account for roughly 700,000 ED visits annually. 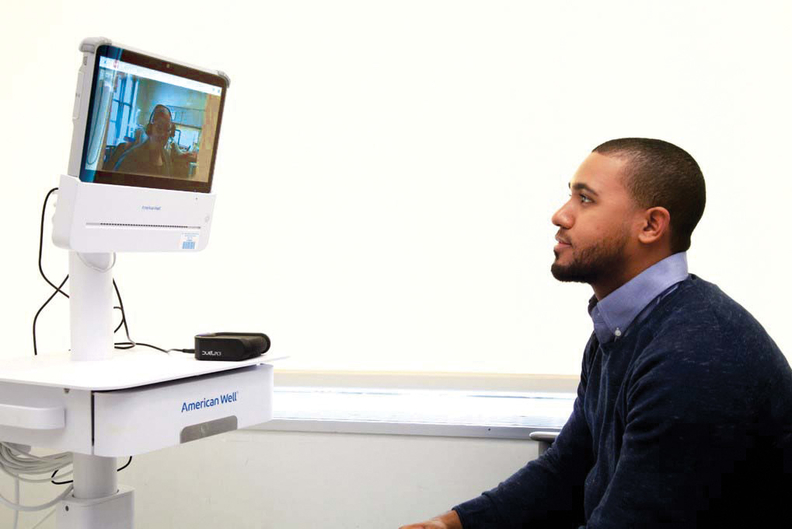 Intrigued by the capabilities of New York-Presbyterian’s growing telehealth team, the pharmacists in early 2018 approached them asking how the technology can be used to conduct medication reconciliations. “It made sense for us to put our heads together to see … how we could reach more patients with medication reconciliation,” said Diana Kohlberg, project lead of IT-Innovation at New York-Presbyterian. As a result of those discussions, the tele-medication reconciliation program launched in August. The program enlists pharmacy technicians or pharmacy interns at New York-Presbyterian to conduct virtual consultations with patients about their medications before they see a doctor. The remote team is available across multiple ED sites and outpatient units, said Hanlin Li, clinical pharmacy manager of ambulatory care at New York-Presbyterian’s Columbia University Medical Center. Enable telehealth technology at the bedside in emergency departments. Enlist pharmacy technicians and interns to go over medications with patients. Allow pharmacists to review medication lists and offer notes to physicians. Creating an accurate list of a patient’s current medication history can be challenging. Patients sometimes forget or misidentify their medications, so part of the process involves verifying the list with the patient’s pharmacy. Prior to this program, everything was done by doctors or pharmacists. Now, the pharmacy techs and interns upload a verified list of the patient’s medications into the EHR for the pharmacist to review. This lets pharmacists spend more time reviewing that list to identify adverse drug interactions or side effects, which is noted for the physician in the EHR. An icon pops up on the patient’s EHR dashboard for the physician to indicate medication reconciliation has been conducted. Not only is the complete list of the patient’s medications helpful to doctors, but the pharmacists can leave more detailed notes. Along with the ED at Weill Cornell, the program is currently offered at New York-Presbyterian’s Columbia, Queens and Allen hospitals. It’s also available to surgery and endoscopy patients at the system’s outpatient David H. Koch Center. The program has increased medication reconciliations by as much as 126% at some campuses, Kohlberg said. Patients overall like the service too, said Leah Wilson, a Weill Cornell pharmacy technician. While some patients have commented they would prefer to see someone in person, “most patients do enjoy it and they like the technology,” said Leah Wilson. To conduct the visits, nurses or patient navigators wheel a cart to patients at the bedside with a monitor that displays a live feed of the pharmacy tech or intern. The consultations usually last three to five minutes depending on the patient’s medication history. New-York Presbyterian didn’t hire additional staff for the program. There are six pharmacy techs and five pharmacy interns who do the virtual visits. The techs and interns try to see as many patients as possible. “It’s pretty busy; we do see a lot of patients throughout the course of the day,” Wilson said. The virtual visits are also only available at certain times of day like mornings and afternoons, so physicians who work overnight shifts typically are still conducting medication reconciliations. New-York Presbyterian plans to expand the program, based on preliminary data showing medication reconciliations done virtually are completed faster.